We had no trees in our garden when we came to this house almost seven years ago. 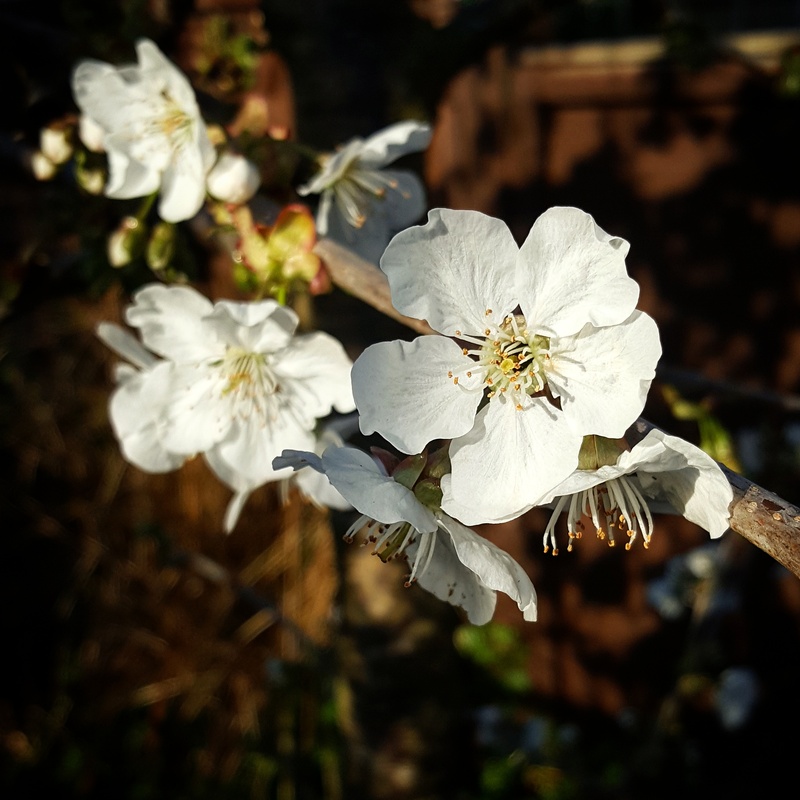 Since that time, Ade has planted a cherry tree, plum tree, crab apple tree and a fig tree, and they’re all festooned with blossom at the moment. Fingers crossed there will be a bumper harvest of fruit to follow! Those blossoms do indeed look stunning. Remember to share the harvest when it comes in! Though how to do that, I don’t really know. You always have such gorgeous looking photos, it’s mind-blowing!